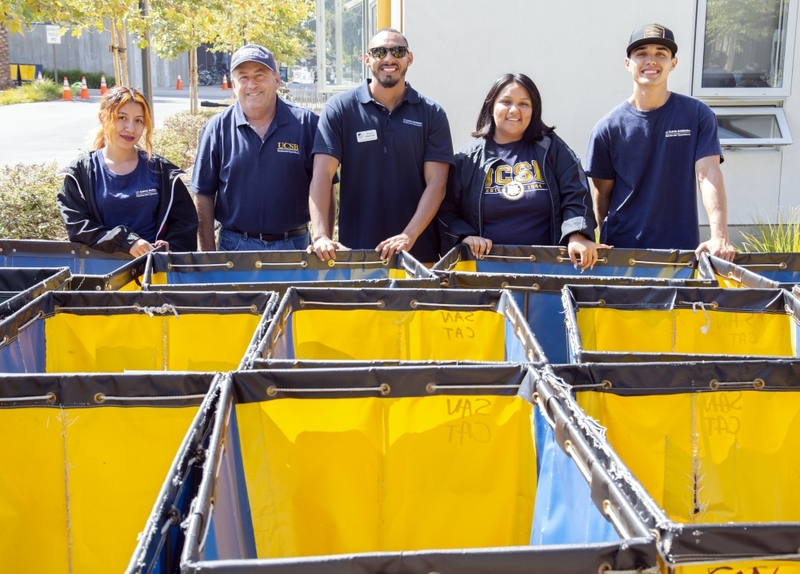 Shiny, happy people holding hands — er, boxes. 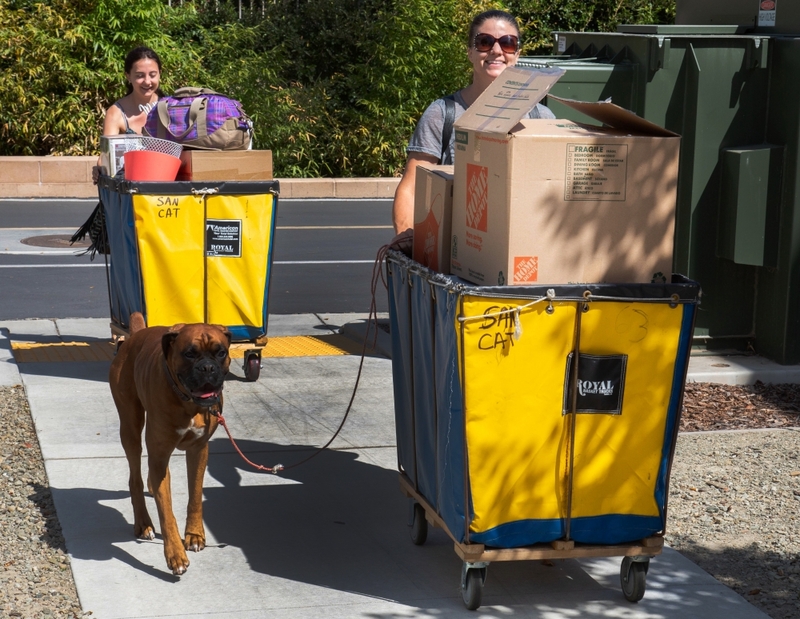 Lots and lots of boxes. 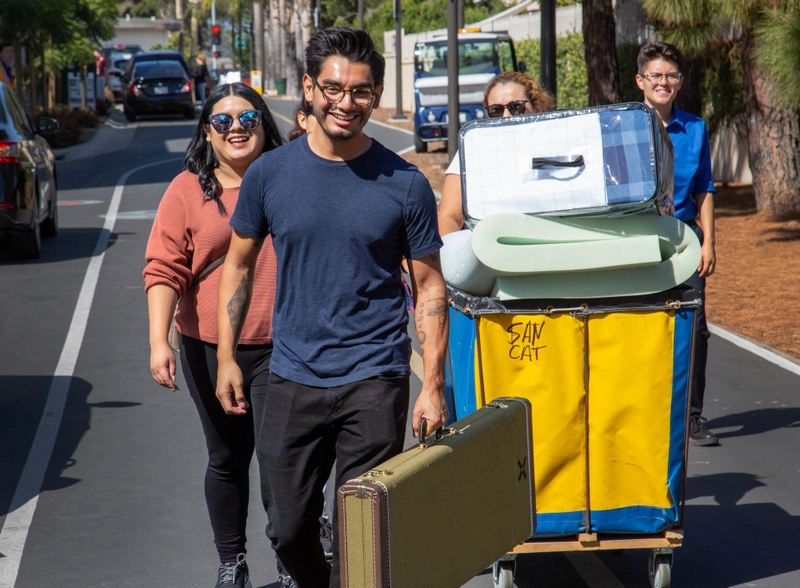 It was all smiles across the many faces of UC Santa Barbara throughout 2018 move-in activities on and around campus. 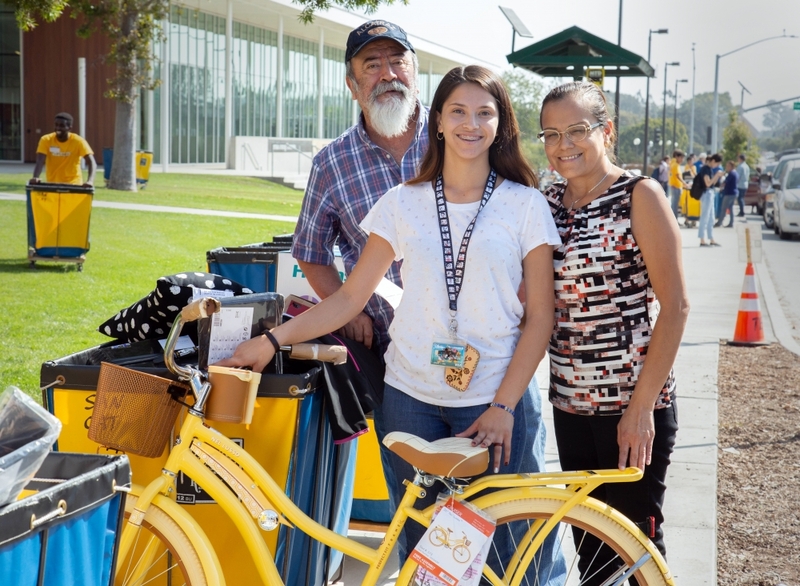 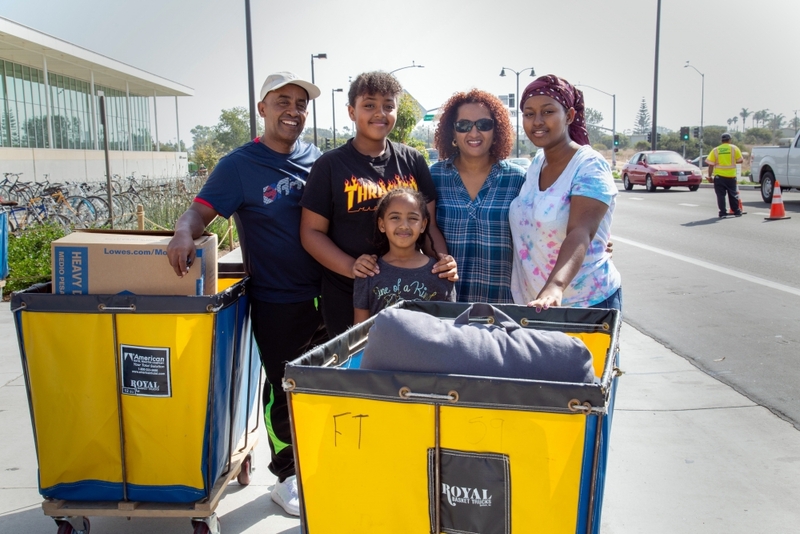 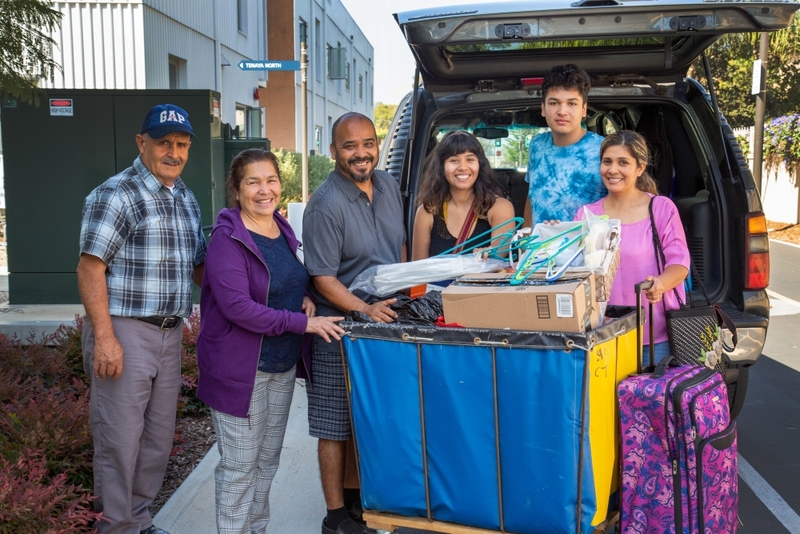 New and returning students alike arrived over the weekend with their belongings — and many of their families (including, in some cases, even their dogs) — in tow. 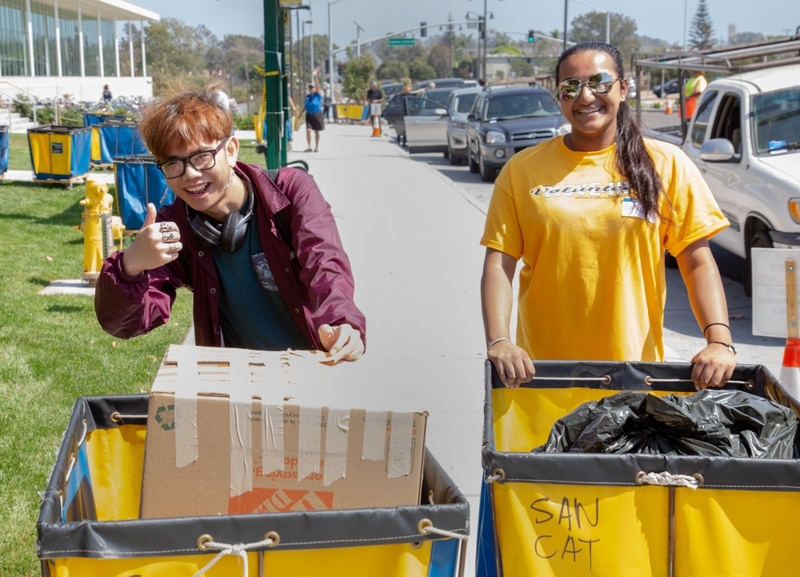 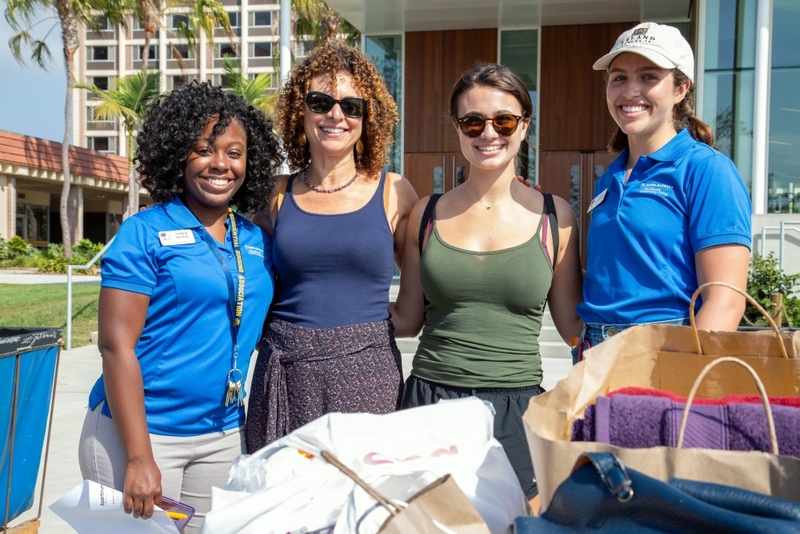 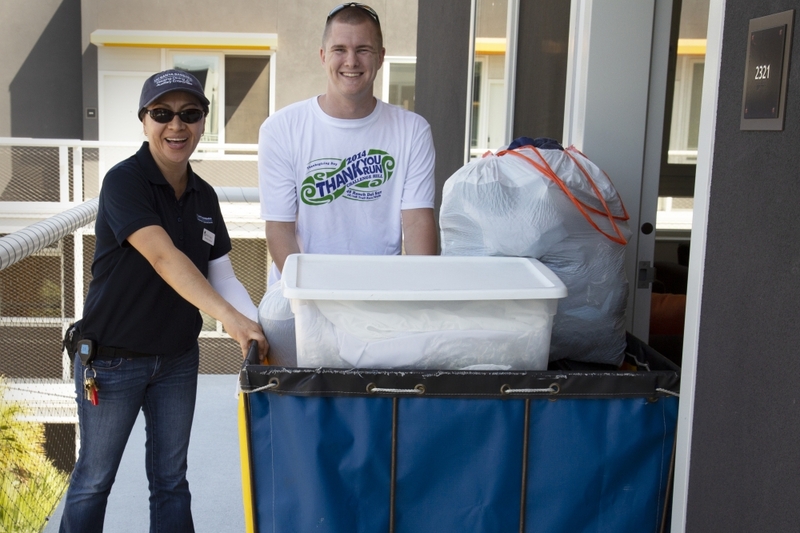 From Santa Catalina to San Joaquin and the many other residence halls, campus staff and an array of volunteers greeted and helped their fellow Gauchos in this first milestone of the new academic year. 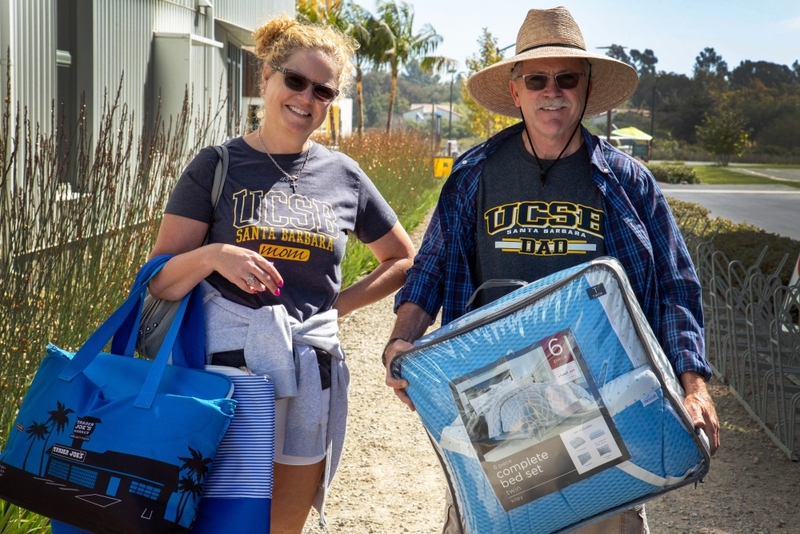 The first official day of the fall quarter, Monday, September 24, brought thousands of those students, as well as many faculty and staff, to the Faculty Green for New Student Convocation. 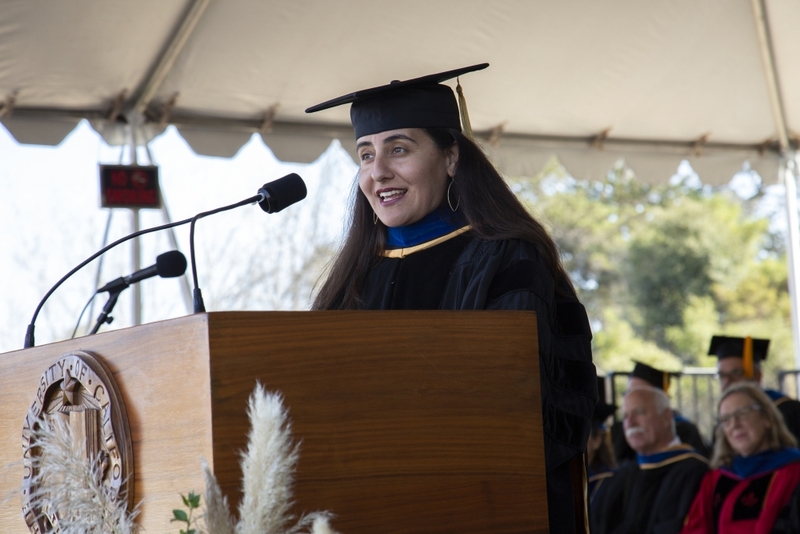 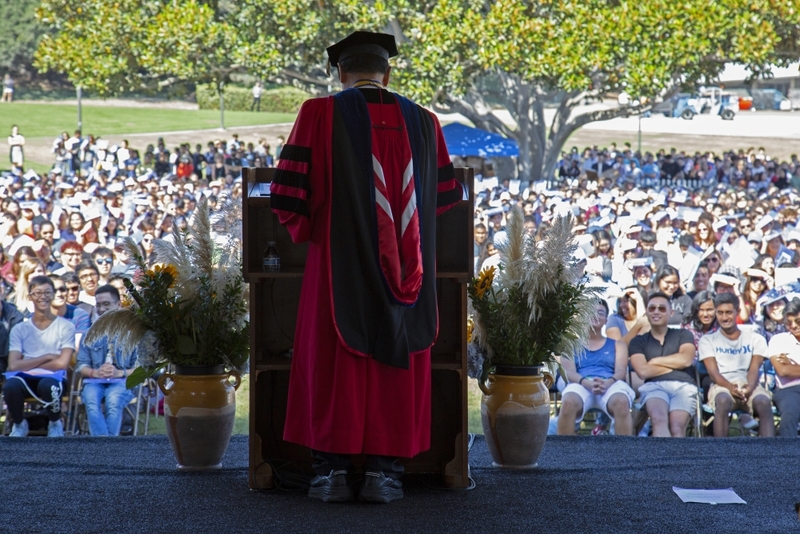 The university's official induction ceremony for freshman and transfer students, the event is meant to promote the values of a UC Santa Barbara education and to build excitement about becoming part of the campus community. 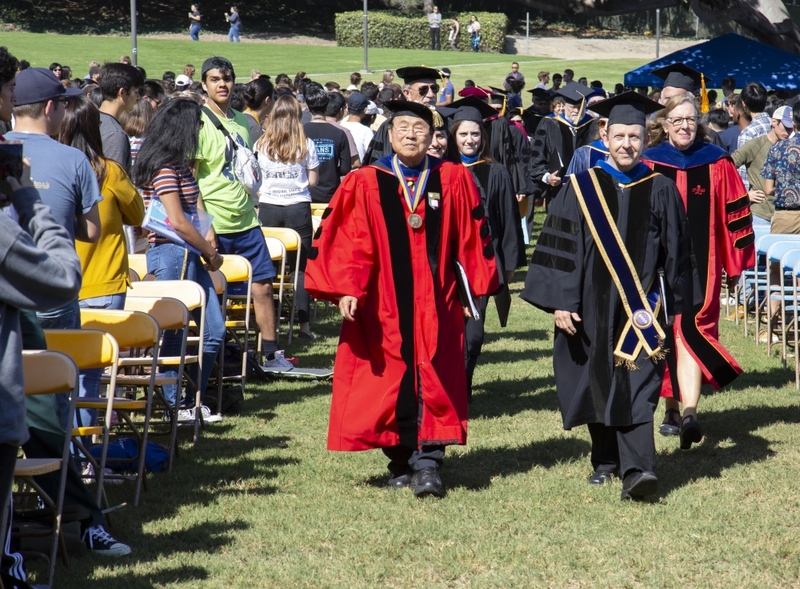 With a welcome by Jeffrey Stopple, dean of undergraduate education, remarks were also delivered by Chancellor Henry T. Yang and Assemblymember Monique Limón, a UC Santa Barbara alumna, among others. 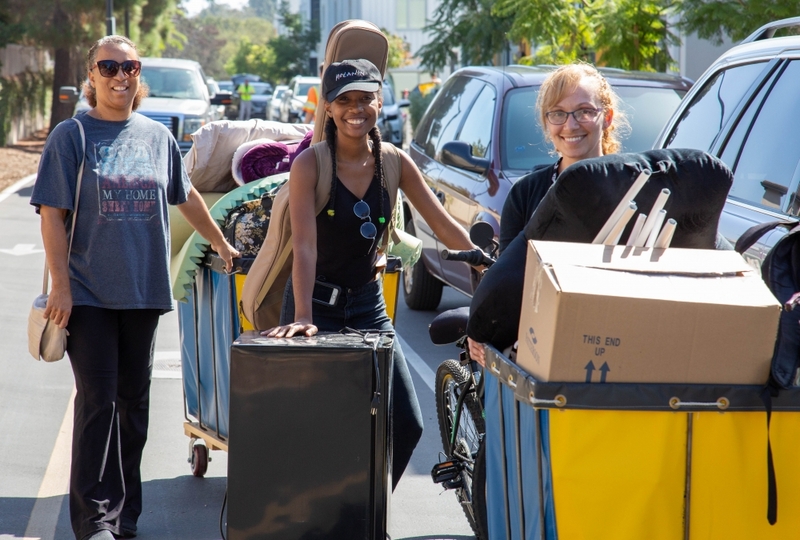 Instruction begins Thursday, September 27.